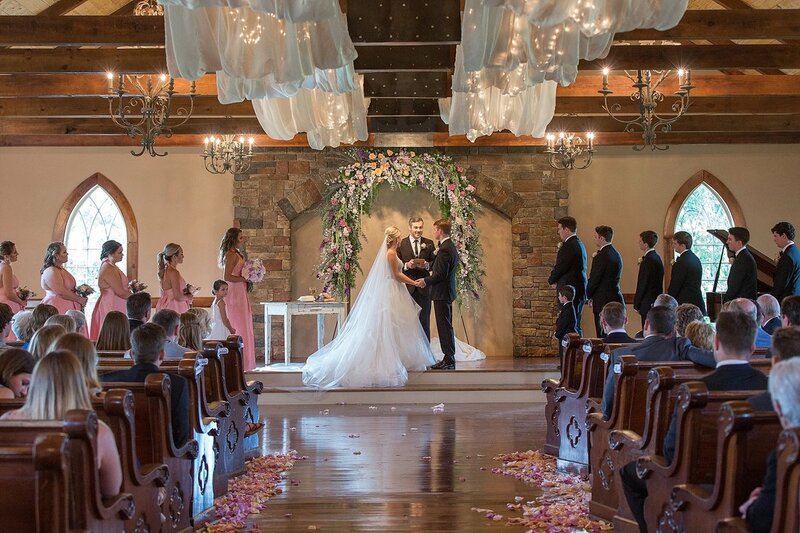 ​A place for all seasons, the Chapel at Stone Bridge is rustic yet elegant enough for even the most formal wedding. 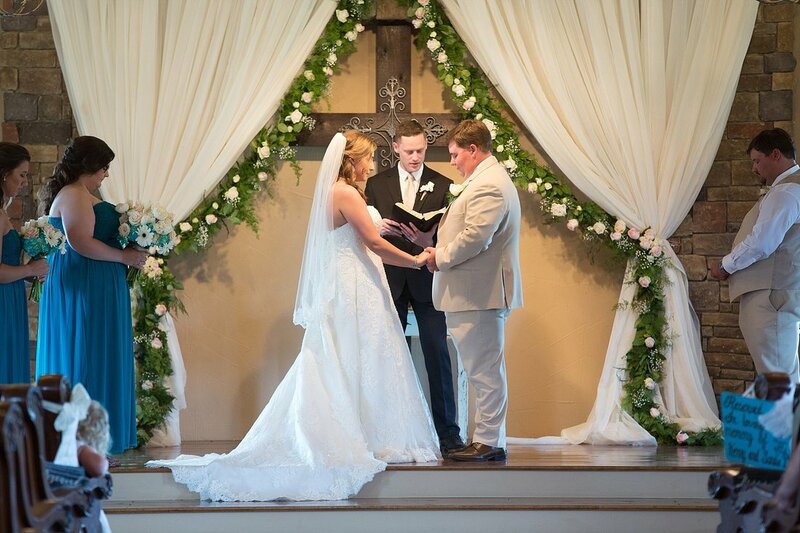 Featuring vaulted ceilings and gleaming wooden church pews, with seating for 450 guests, this is the perfect place for weddings any time of year. When it’s too hot, too cold or too damp outside, you have the perfect option here. With cathedral-style windows overlooking the perfectly landscaped property and reflective pond, the view outside is as calm and serene as the atmosphere in the chapel. A grand piano is available for music to set the perfect tone for your special day.